Richard Buckminster Fuller’s scientific visions for ‘world planning’ using autopilot-style systems are being accelerated by international space agencies, as his followers celebrate the 90th anniversary of his 1928 publication of a ‘4D Air-Ocean World Town Plan’ concept diagram, and the 50th anniversary of his 1969 book, Operating Manual for Spaceship Earth. In the United States, the Buckminster Fuller Institute, chaired by David McConville, is planning a series of seminars and other events to promote Fuller’s Spaceship Earth ideas, which were shared in the late 1960s and early 1970s by other humanitarian-environmental policy leaders; notably Barbara Ward (Baroness Jackson), Adlai Stevenson, Kenneth Boulding and Stewart Brand. Fuller (1895-1983) was a teenager when the Wright brothers flew the world’s first successful airplane and Albert Einstein published his post-Newtonian theories of light and the universal ‘simultaneity’ of space and time. Trained in naval logistics, Fuller was strongly influenced by advances in aerospace technology as he evolved his systematic ideas to effectively balance human uses of the Earth’s resources. Most influential during the three decades after the Second World War, he promoted various aspects of his world planning vision via diverse neologisms (self-invented catchphrases such as World Game, livingry and Spaceship Earth), and demonstration projects like the spherical tent he designed to promote American ingenuity at Expo ’67 in Montréal. Opened to massive crowds one year before the first American astronauts walked on the Moon, his United States pavilion was a steel-framed, 76-metre-diameter geodesic dome sheathed with clear acrylic fabric. Its form symbolised his career-long advocacy of planet-wide resource management systems; culminating with his Spaceship Earth book, lectures and articles. 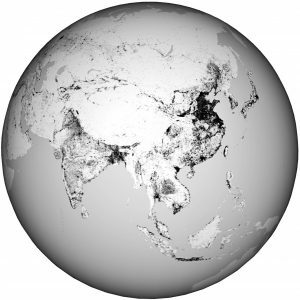 Thomas Esch of the German Aerospace Center (DLR) used satellite data to precisely map the world’s most populous zones for its Global Urban Footprint project. 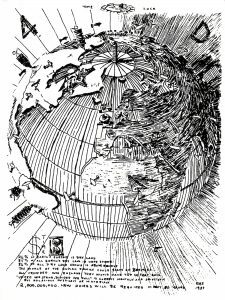 Fuller’s concepts were neglected in many environmental debates during the 25 years after his death – and were usurped in 1992 with Al Gore’s prediction of a 21st century ‘Digital Earth’ environmental simulations program, exploiting Earth observations data streaming down from satellites. Digital Earth also updated NASA’s ‘Mission to Planet Earth’ program begun in the late 1980s, but both ideas were rejected during the presidency of George W. Bush. Gore’s DE theme now is promoted mainly by an international society of geospatial science researchers, managed by a unit of the Chinese Academy of Sciences in Beijing. Replacing the term Digital Earth are two global ventures launched in 2005—the massively popular Google Earth ‘virtual globe’ software program, and an intergovernmental spatial data administration program named the Global Earth Observation System of Systems (GEOSS). 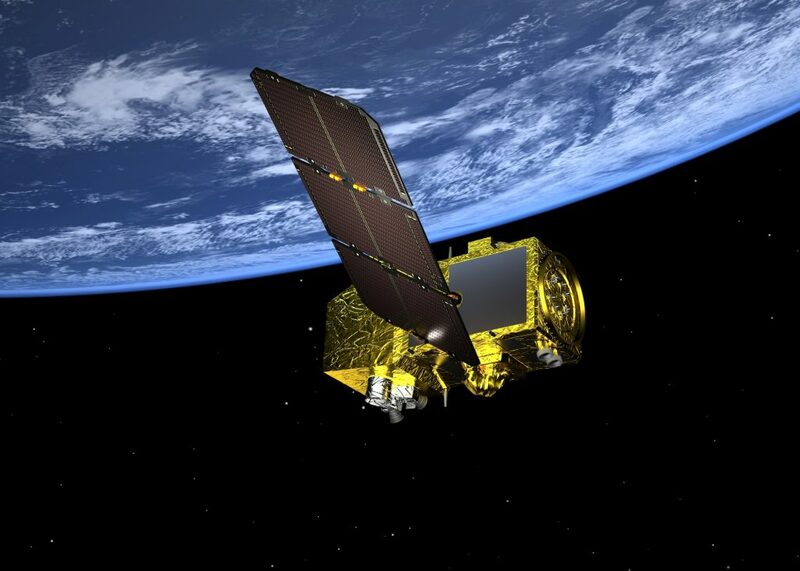 Coordinated by the Group on Earth Observations (GEO) in Geneva, the GEOSS project is today’s most substantial attempt to deliver Bucky’s Spaceship Earth dream.